STANDING DESKS don’t solve the problem. What is Causing Chronic Neck and Back Pain ? Sitting still (or standing still) is killing us all. We were meant to be hunters and gatherers. Our bodies were designed to: push, pull, bend, lift and turn. Are Your Employees Moving Enough ? Mindful Movement = Better Posture = Less Back Pain = Increased Productivity = Lower Health Care costs! No one is keeping them accountable to improving their posture from hours of sitting, and honestly it's not your job or experience to help them accomplish this! 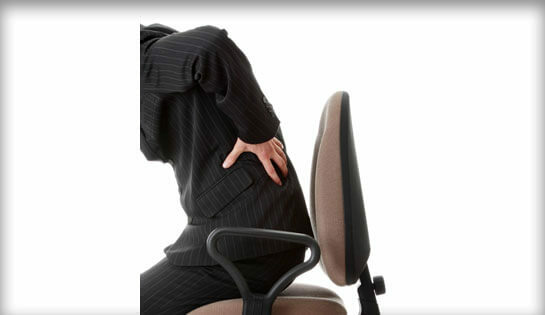 According to the Global Burden of Disease, lower back pain is the leading cause of disability. Are You Moving Enough ? You know you need to move more at your workstation. You’ve searched videos on YouTube for suggestions. Maybe you’ve even made it a New Year’s Resolution. It’s so hard. It’s easy to forget what to stretch. You’re not a fitness expert, so would do you know how strengthen the right muscles. Besides, doing the same stretches and exercises over and over again is boring and mundane. The work day gets away from you and by the end you’re exhausted from all that lack of movement, that you sit in your car to drive home. No one is keeping you accountable to your daily exercises. Stationary computer work immobilizes the joints, creating an increased chance of musculoskeletal pain. I know what this feels like. Shortly after running my first (and only) marathon, my lower back pain got so intense from years of sitting. I didn’t effectively stretch and strengthen the proper muscles before, during and after all that running. The pain was debilitating and not to mention, demoralizing. I had a desk job at the time, and I could barely get out of my seat. I tried chiropractic and Osteotherapy with little success. Then I quit my day job and started working as a personal trainer, and my pain subsided. I learned the proper exercises needed to stretch the commonly tight muscles, and strengthen the weak muscles. I got more movement into my life, and re-aligned my spine. Shortly after running my first (and only) marathon, my lower back pain got so intense from years of sitting and then suddenly running long distances. I didn’t effectively stretch and strengthen the proper muscles before, during and after all that running. The was debilitating and not to mention, demoralizing. I had a desk job at the time, and I could barely get out of my seat. I tried chiropractic and Osteotherapy to little success. Then I quit my day job and started working as a personal trainer, and my pain subsided. What made the difference? I learned the proper movement needed to stretch the commonly tight muscles, and strengthen the commonly weak muscles. I got more movement into my life, and re-aligned my spine. For employees working at their desks for hours on end, getting more movement into the day is NOT easy. Taking the time to send them to a Yoga class is challenging (and expensive!). Encouraging them to stick with a regular daily program… can feel impossible! I implemented VerticAlign's postural desk daily plan, and my neck and shoulder's immediately felt better throughout my work day! Wouldn't your team do better with a structured daily plan telling them exactly what to do? Are your employees more successful when they have accountability? 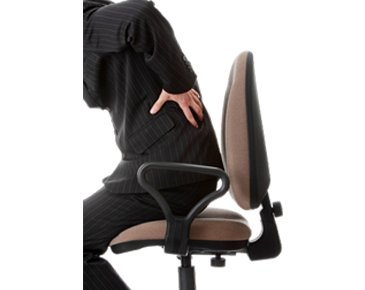 Is chronic neck and back pain decreasing your team's productivity therefore wasting time and money? Every business day, Monday through Friday, your team will receive an email with 5 to 7 exercises that can be performed at your workstation. They will receive detailed videos with audio and written instructions. Accountability: They will receive a notice if they’ve missed their routine. They receive a cheer when they complete their deskercises daily. Coach Zeena is available for questions on the exercises. Your team members can also upload a picture or video to the VerticAlign software (TrueCoach) to have Coach Zeena check their form! Exercises will be geared towards stretching chronically tight muscles, mobilizing the joints, and engaging underutilized muscles. This program costs less per employee than their monthly coffee bill! Fill out the form below to receive a quote for you team within 1 business day! Having the online program has kept me motivated to exercise daily. I especially like being able to refer back to the online videos and see Zeena demonstrate the correct movements. Coach Zeena will cheer your team on when they do their deskercises, and email them when they don’t. They will have accountability from a Certified Posture Coach! 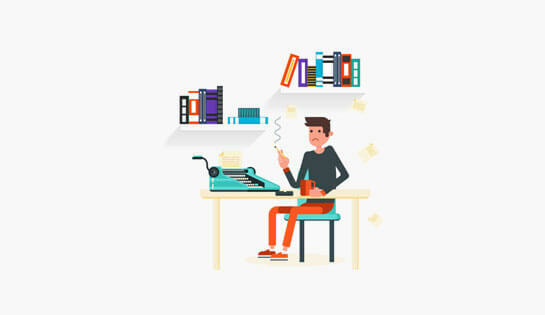 The exercises are designed to be done at a work station and aim to be the most effective possible exercises you can do in a short amount of time. Watch your team experience more energy, reduce their pain, decrease their desk fatigue in less than 10 minutes a day. Soon your company productivity will be flying through the roof! Fill out the form to receive a proposal for your company as soon as possible! 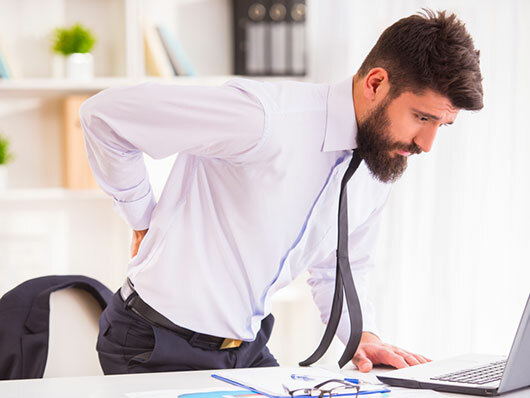 It is estimated that 15 to 20% of Americans will have back pain within a year and 50% to 80% will experience back pain at least once in their life. Don’t let this be YOUR TEAM! The Daily Deskercise Delivered program is a month to month membership with no contract. Please cancel 3 days before the monthly payment date for cancellation. Each employee will be asked to fill out a private medical history form before beginning the program, for their own health and safety.